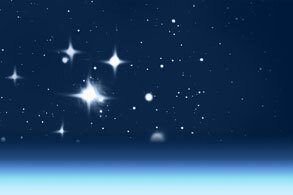 Development and maintenance of a database of astronomical observations is carried out. The observations were carried out using photo plates in the 20th century. Modern observations are performed with couple charged devices (CCD). The database is available here. IVOA was created in June 2002 with a mission to enable the international utilization of astronomical archives. Virtual observatory (VO) is a global project connected with modern development of astronomy. It's aim is to give any astronomer an easy and convinient access to all accumulated astronomical data in the world as though it is on their computer. VO is a system, which: allows astronomers easily and simply to query many data centres, provides new powerfull instruments for data visualisation and analysis, creates standards for publicizing and rendering of services by data centres. It is possible thanks to standardization of data and metadata as well as methods of data exchange, usage of registry, which contains references to all available instruments and services. Software for different purposes was already created and has been continued to develop. Long term perspective of the IVOA is not a specific software packet but a common infrastructure, which allows data centres to provide cooperative or competitive services for data storage and handling, as well as allows software developers to propose many compatible instruments for data visualisation and analysis by using convinient user interfaces. The most important priority for all VO projects is a development of standard infrastructure to implement mentioned purposes. It is well known, new era came in astronomical observations, which connected with global projects on creation of sky reviews, such as 2MASS, GOODS, SDSS, VISTA, VST, VVDS, LOFAR, RAVE, Gaia. New projects require changes in methods of storage and processing of massive data volumes . The first discovery using VO was made on May 28, 2004. 31 massive black holes were discovered, and a paper was published . Problems of data volume increase are common in astronomy, nuclear physics, bioinformatics. Modern telescopes in Europe produce about 500 Gb of data per night. A volume of modern european archives is estimated by value of hundreds of TB. This volume is doubled annually. New telescope, such as LSST (Large Synoptic Survey Telescope), will produce several TB of data per night. That is why, databases and distributed Grid technologies have to be used in astronomy and other sciences. At RI Mykolaiv Astronomical Observatory (MAO), development of astronomical databases was started in 2001. Creation of first elements for national virtual observatory was started in 2004 . Scientific agreement between MAO and the Main Astronomical Observatory (Kyiv) was signed in 2009 to provide future membership of Ukraine in the IVOA.